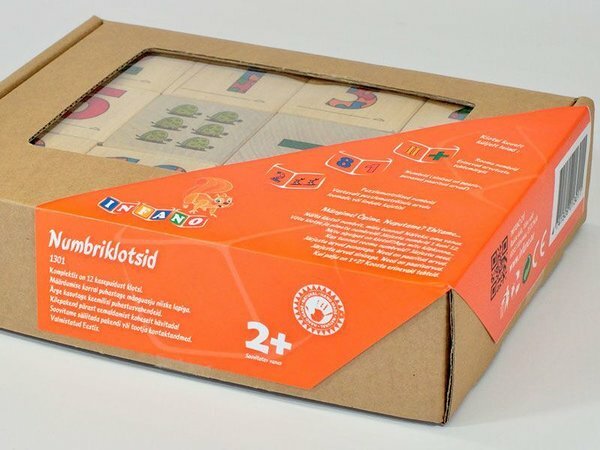 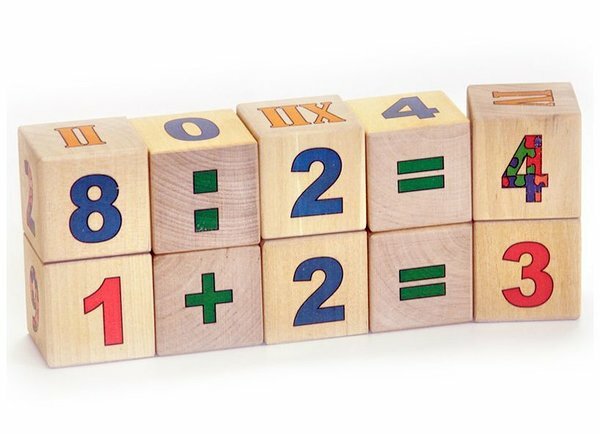 This 12-piece math blocks set will both delight and challenge your child! 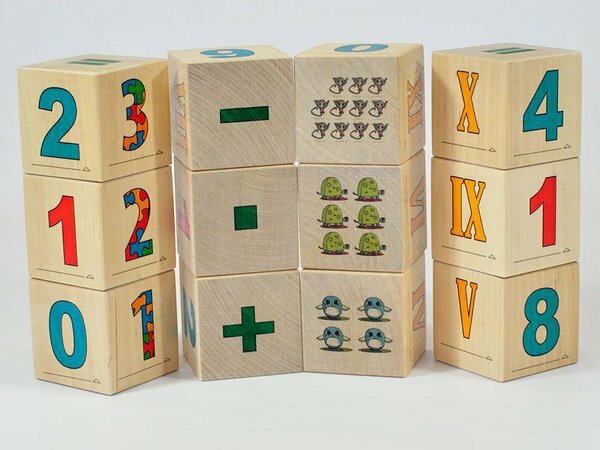 Number, in Arabic (1 ... 12) and Rome (I ... XII), and shape blocks are ideal for little ones learning to count. 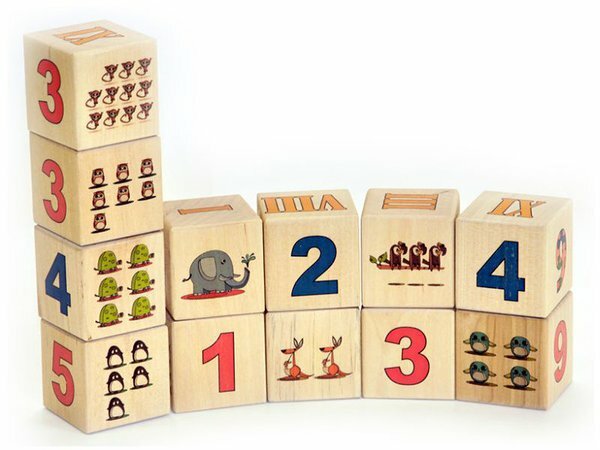 And as he grows, this complete set is excellent for introducing basic addition, subtraction, shapes, and more. 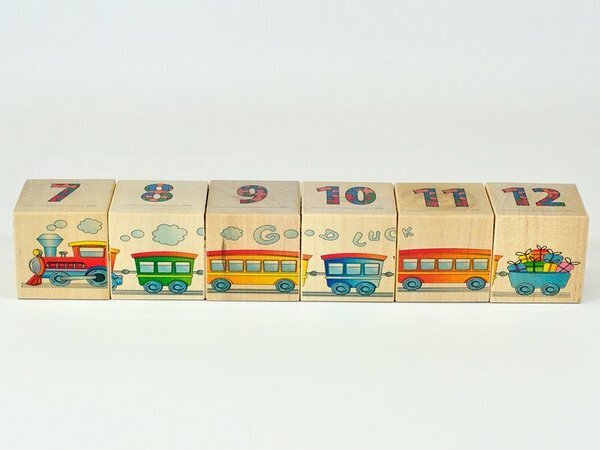 How long is the train? 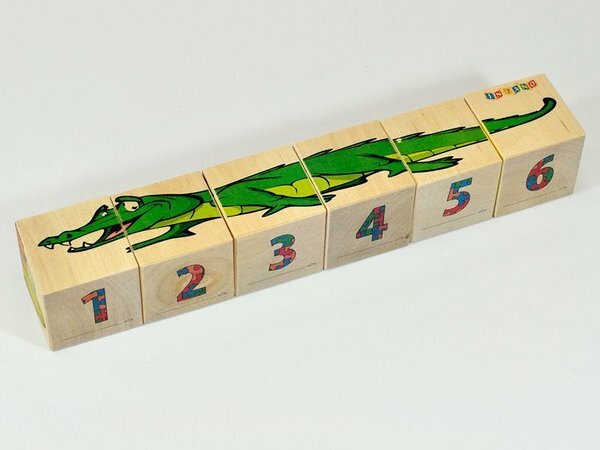 Is the crocodile just as long? 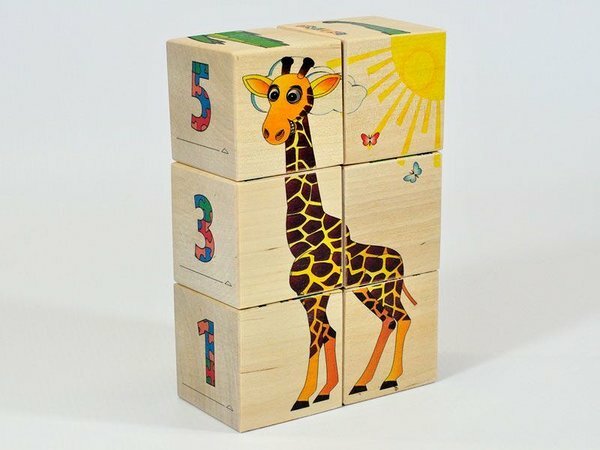 Is the giraffe as tall as the bell tower? 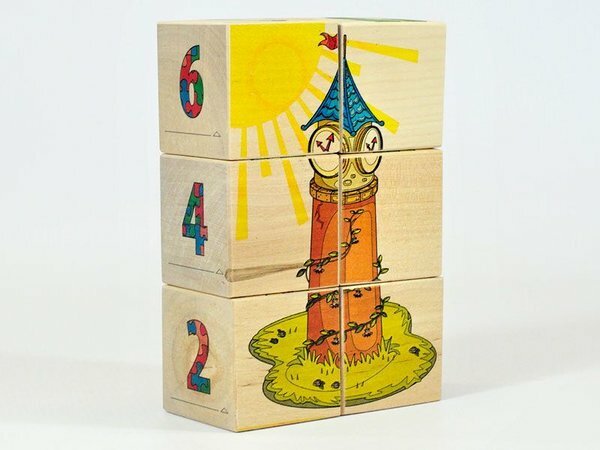 This set provides the answer to all these questions. 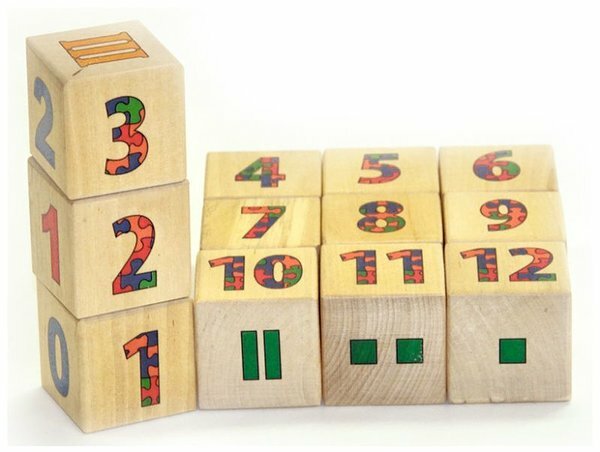 Your child will easily learn numbers and counting. 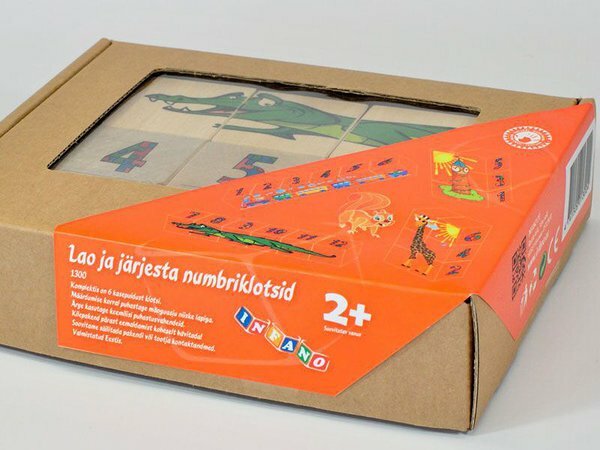 Moreover, it is a fun way of learning!